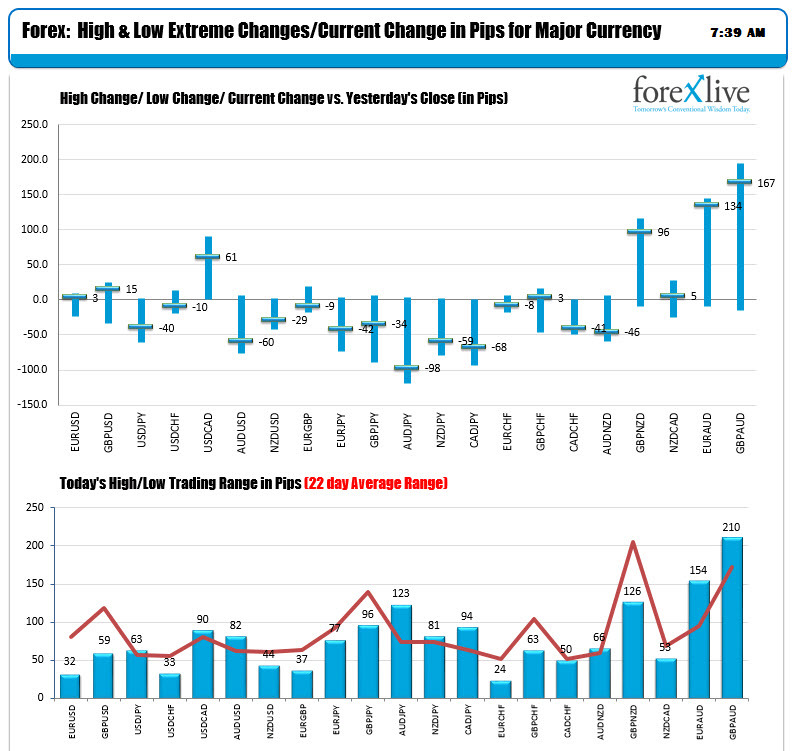 The USD is higher vs. the "risky" currencies. 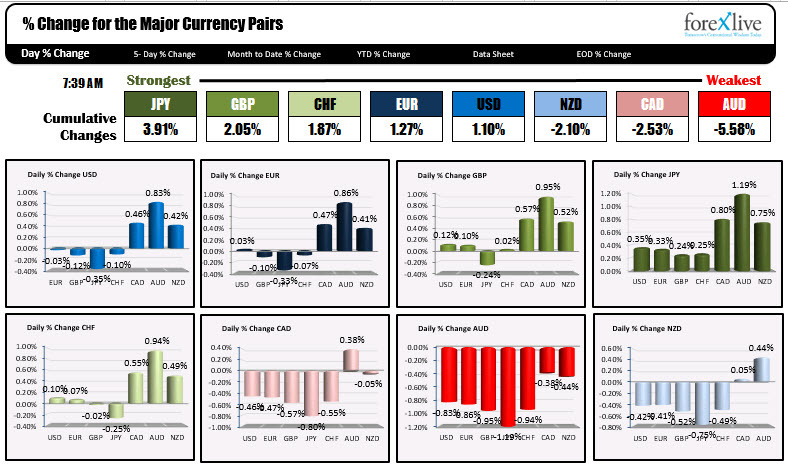 The JPY is the strongest currency in a very volatile day for the currency and the AUD is the weakest as the risk off trade sends it and the NZD and CAD lower. The USD is little changed vs the EUR, CHF and GBP (calm before the GBP storm?). The snapshot of the changes and ranges below are showing the EURUSD and USDCHF is taking the day off so far today with narrow ranges of 32 and 33 pips respectively (just watching). The GBPUSD range, relative to the month long average, is also mild at 59 pips. With the vote on Brexit looming next week, it seems to be a calm before the storm. The USDCAD is higher continuing the trend after the dovish comments from the BOC yesterday. The AUDUSD also trended (lower) continuing its trend seen since Wednesday (GDP was weaker this week). It fell below its 100 day MA in trading today (bearish). WTI crude oil is down -$1.90 or -3.69% at $50.95 ahead of the OPEC meeting. the US debt market, yields are lower once again. The 2-10 year spread is higher by 0.7 bps after the sharp declines took the spread below 12 bps on Tuesday. In the European market, the Italian yields are higher on concerns about budget once again. Other yields are lower in the 10 year note sector.